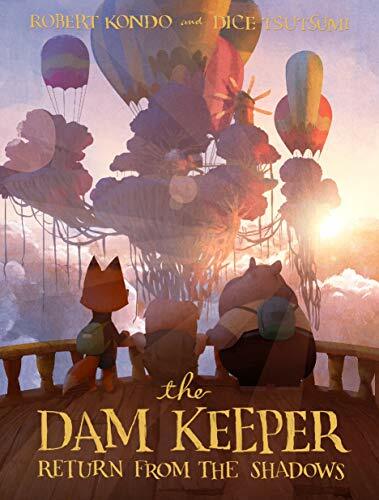 Based on an Oscar-nominated animated short by former Pixar directors, The Dam Keeper: Return to the Shadowsis the third and final volume in a breath-taking graphic novel series about a pig's epic journey. Sunrise Valley is without a dam keeper, and time is running out. In less than twenty-four hours, the poisonous tidal wave of black fog will descend on Pig’s home. While Fox, Hippo, and Van hurry east to warn the townspeople, Pig ventures on his own path. Pig is following a trail of clues that are inexplicably linked to his father, and now that trail is leading upward. What he finds on a floating island above the clouds will shake him to his core, but it just might be the answer he needs to save his home. If you have any questions about this product by First Second, contact us by completing and submitting the form below. If you are looking for a specif part number, please include it with your message.